Both the U.S. House and Senate will be taking a recess during the month of August. Subscribe to get legislative updates when they return in September! HUD is considering changes to its “disparate impact” fair housing rule and is looking for public input on the rule. Comments are due by August 20th, 2018. Click to contribute (or use the National Apartment Association’s auto message)! The legislature reconvened on August 6th and you can expect legislative updates until the end of September. Subscribe to stay in the loop on rental housing regulatory changes! SB 831 and AB 2980 eliminate some of the regulations and fees regarding accessory dwelling units (also known as granny flats or in-law units). SB 831 includes eliminating all local agency, school district, special district and water corporation fees, requiring an accessory dwelling unit application to be automatically approved if a local agency does not act within 120 days, and allow for the creation of an accessory dwelling unit on lots with existing or proposed homes. AB 2890 would prohibit the imposition of lot coverage standards (like ordinances regulating minimum unit size, parking, etc. ), and local ordinances regulating accessory dwelling units would have to be reviewed by the Department of Housing and Community Development. This bill would require each city or county to meet the minimum housing production goal (as is written in their general development plan) in order to be eligible to receive a portion of the Road Maintenance and Rehabilitation Program’s remaining funds. This bill is co-sponsored by the California Apartment Association and the California Association of Realtors. AB 1919 would make it a misdemeanor for a person, business, or other entity to increase the monthly rental price to an existing or prospective tenant by more than 10% within during a declaration of emergency. 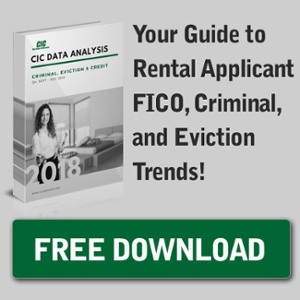 It would also be a misdemeanor to evict a tenant after the proclamation of a state of an emergency for the purpose of renting the property out. AB 1919 would also create a state-mandated local program to monitor and manage this new crime. Be aware that recent emergency declarations are in effect for San Bernardino, Riverside, Mariposa and Shasta counties (due to the Cranston, Carr, and Ferguson wildfires), triggering California’s anti-price gouging protections. You are prohibited from raising rent by 10% for 30 days after the emergency declaration issue date. Keep in mind that the governor and local officials can extend those protections after the expiration date. Unless the emergency declaration is extended again, rent protections for Mendocino, Napa, Solano, Sonoma and Ventura counties (in response to last year’s wildfires) will end on December 4th. Protections for Siskiyou and San Diego counties are slated to end on August 4th and 5th. This bill would require the Homeless Coordinating Council to oversee and administer grant programs for homeless young people and families, funded from funds appropriated by the Legislature, federal funds, special fund money, and gifts and donations. No more than 40% of the total funds granted in a year would be used to establish, expand, or operate shelter programs, with the rest dedicated to direct homeless aid. AB 1921 would allow family recipients of CalWORKS up to 16 total days of temporary housing assistance regardless of interruptions. It would also allow recipients to use their payments towards shared housing. Introduced by Assemblymen Phil Ting (D – San Francisco) and Ricardo Lara (D – Los Angeles), this bill would establish a Local Homelessness Solutions Program and create the Local Homelessness Solutions Account, which would provide funding to aid impacted cities. Funds drawn from the general fund to homelessness solutions account would go towards shelter diversion, rapid rehousing, and permanent supportive housing. This bill would require landlords to wait longer before starting the eviction process. Supported by Assemblyman David Chiu (D – San Francisco), the eviction notice wait time would exclude judicial holidays (including Saturday and Sunday). If passed, these provisions would become operative on September 1, 2019. Existing law allows rental properties in the City of Los Angeles, Long Beach, Oakland and Sacramento to file for an action on an unlawful detainer to abate the nuisance caused by illegal conduct involving unlawful weapons or ammunition. This law will sunset on January 1, 2019. AB 2930 would eliminate the sunset date and impose a state-mandated local program. This bill further protects the tenant’s and property owner’s right to call law enforcement or emergency assistance on behalf of a victim of abuse, crime or an individual emergency that the caller believes needs law enforcement or emergency assistance to prevent or deescalate. AB 2413 would also prohibit landlords from retaliating against victims or their households for contacting law enforcement or emergency assistance (in this context). Current law (in relation to an unlawful detainer) allows the victim of domestic violence, sexual assault, stalking, human trafficking, or elder/dependent adult abuse to attach a documented copy of a restraining, protection order, or report by a peace officer. This law would also allow the victim to provide a statement from a qualified 3rd party. Among other things, the California Environmental Quality Act requires lead agencies to prepare and complete an environmental impact report. This bill would exempt certain residential and mixed used housing projects occurring in unincorporated areas of a county. The Office of Environmental Health Hazard Assessment (OEHHA) has created “safe harbor” levels to determine whether exposure levels and discharges to drinking water sources are safe. These include tests for cancer-causing chemicals and chemicals causing reproductive toxicity. Rental housing providers with 10 or more employees with an enclosed parking garage or designated smoking area will be required to have new “safe harbor” warning regulations posted as of August 30th. In effect August 2019, all rental property owners within the city of San Diego will be required to accept Section 8 housing vouchers. This November the Costa-Hawkins Act will be in the hands of California’s voters. If passed, proposition 10 will be detrimental to the rental housing industry. Not only would it allow rent caps on properties and open the door for rent control on single-family homes and new construction, but it’ll be detrimental to the rental market. Cities with Activists Still Collecting Rent Control Signatures or with FAILED Rent Control Measures: Glendale, Inglewood, Long Beach, Pasadena, Pomona, Sacramento, Santa Ana, and Santa Rosa. While the spring session has come to an end, the Illinois legislature reviews bills almost year-round. Click here to subscribe for future rental housing legislative updates! This bill enables the immediate family or dependents of a military service member who was killed in action or during active duty to terminate the lease. HB 4317 went into effect on July 20, 2018. This bill would allow property owners to require rental applicants (requesting for an exception to their no-pet policy) to produce reliable documentation of their disability and disability-related need for their service animal if the need is not readily apparent or known by the landlord. Property owners may require re-certification each year. Owners will also not be liable under law for any injuries permitted by a person’s assistance or service animal if caused on the property. Penalties and violations are included for applicants who misrepresent their animal as an assistance or service animal, or for misrepresenting a medical professional. This act would repeal the Rent Control Preemption Act to enable local governments to enable rent control ordinances. This bill has been sent to the House Rules Committee and several legislators have added their name as co-sponsors. An identical Senate bill has been introduced under SB 2310. HB 4760 would require the clerk of the circuit court to immediately seal the court file once an eviction action is filed. Under certain circumstances the file will be unsealed after 30 days, and then re-sealed no later than 5 years. Access to these eviction files will become limited if this bill passes. Currently on the governor’s desk, this bill would prohibit property owners to threaten to disclose (or actually disclose) information regarding the immigration or citizenship status of a tenant to any person, entity, or immigration or law enforcement agency (unless required by law or court order). Civil penalties will not exceed $2,000 for each violation. While the last day of New York’s legislative session was tentatively on June 20th, the U.S. Senate and House are scheduled to be in session almost all year (with exception of August). Subscribe to stay in the loop on rental housing regulatory changes! Starting in 2020, all buildings over 25,000 sq. ft. within the city of New York will be required to post their energy-efficiency scores (and associated grades) near their public entrances. Although the regular session ended on June 29th the U.S. Senate and House are scheduled to be in session almost all year (with exception of August). Click here to subscribe to stay up to date on new rental housing changes and trends. Oregon’s state legislature will be quiet in August, but will start to pick back up come September. Make sure you’re subscribed to receive any updates on rental housing legislation! Subscribe to stay in the loop on rental housing regulatory changes! This new measure would impose a 1% tax on the construction of any residential, commercial, or industrial structures. Mayor Jim Kenney has yet to sign the measure (and has voiced opposition in the past). Do you see any promising rental housing legislation in you state?